American Among The Dead In Radisson Hotel Attack In Mali : The Two-Way The family of Anita Datar of Maryland, an international development worker, confirms she died in the terrorist assault. 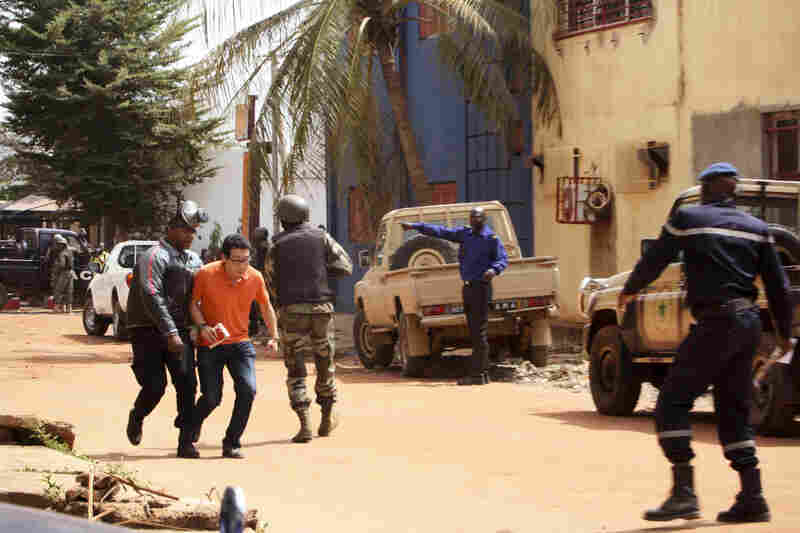 Malian officials say at least 19 people were killed, along with two gunmen. 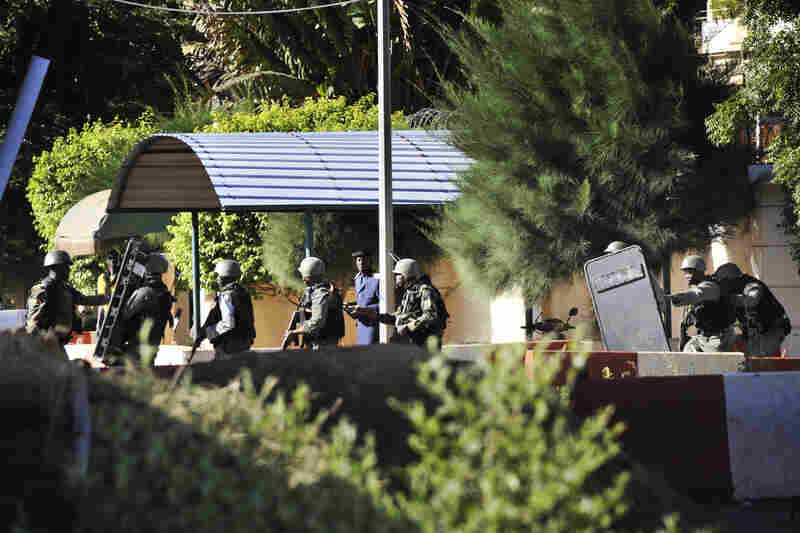 Malian troops assist a hostage to safety near the Radisson Blu hotel in Bamako, Mali, on Friday. Gunmen went on a shooting rampage at the hotel, seizing 170 guests and staff. 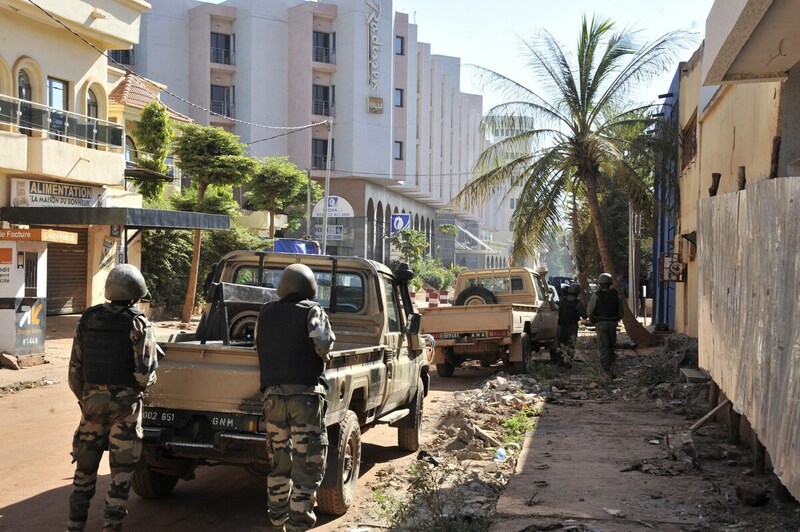 Malian troops take position outside the hotel in Bamako. Security forces evacuate two women near the Radisson Blu. People flee from the hotel, where more than 100 people were still being held hostage. 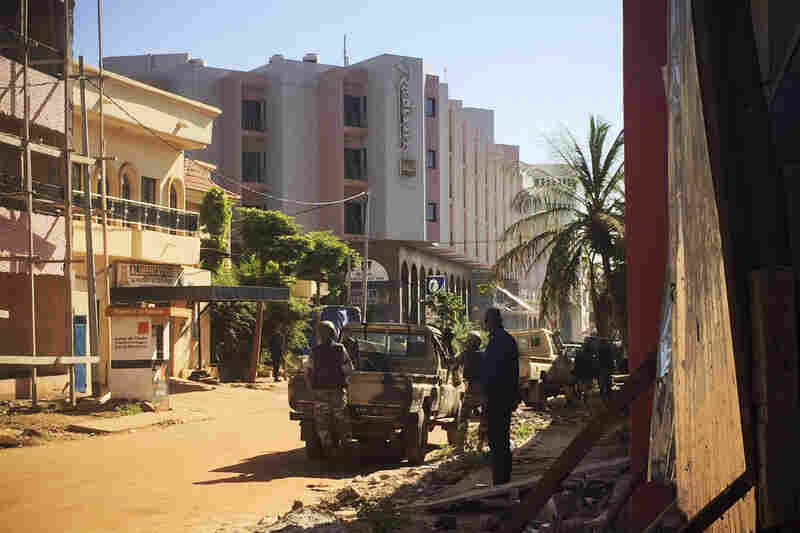 Malian security forces evacuate hostages freed from the Radisson Blu hotel. Malian troops take position outside the Radisson Blu. Malian troops take position. Several extremist groups currently operate in Mali; it's not yet clear who might be responsible for the hotel attack. 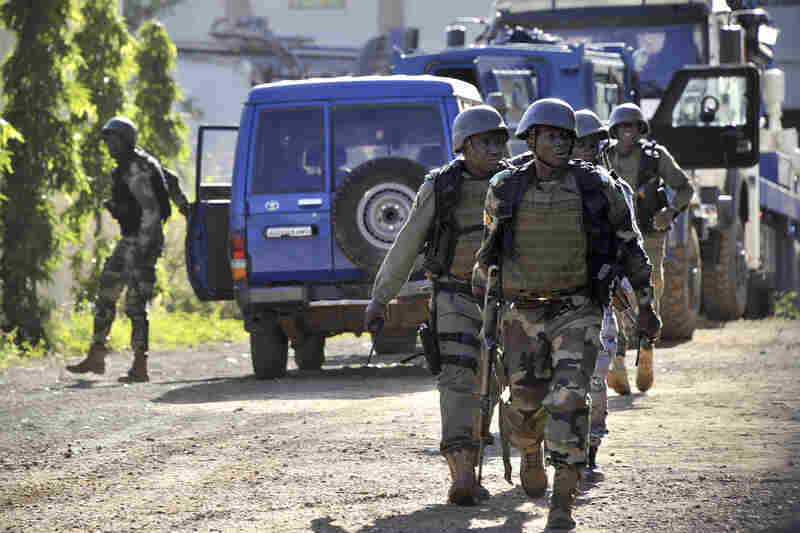 Malian security forces take position in Bamako. The reported number of hostages at risk has fluctuated, in part because some guests managed to escape from the hotel and others were released. "We are devastated that Anita is gone—it's unbelievable to us that she has been killed in this senseless act of violence and terrorism. Anita was one of the kindest and most generous people we know. She loved her family and her work tremendously. Everything she did in her life she did to help others— as a mother, public health expert, daughter, sister and friend. And while we are angry and saddened that she has been killed, we know that she would want to promote education and healthcare to prevent violence and poverty at home and abroad, not intolerance. "Anita Ashok Datar was born in western Massachusetts and grew up in northern New Jersey. She earned an MPH and MPA from Columbia University's Joseph Mailman School of Public Health and School of International and Public Affairs. She worked in Senegal for two years with the Peace Corps (1997-1999), and has spent much of her career working to advance global health and international development, with a focus on population and reproductive health, family planning, and HIV. She was a Senior Manager at Palladium Group and a founding member of Tulalens (www.tulalens.org), a not-for-profit organization connecting underserved communities with quality health services. "Of all her accomplishments, she was most proud of her son. She is survived by him, her parents, brother, and many, many friends around the world." The number of people killed in Friday's attack by gunmen on a hotel in Bamako, the capital of Mali, is at least 19, according to the Associated Press. Two attackers are also believed to have died. A senior U.S. State Department official confirms that one American was killed in an attack Friday in Bamako, the capital of Mali. The official did not provide the American's name and said that out of respect for the family, the department would have no more comment. 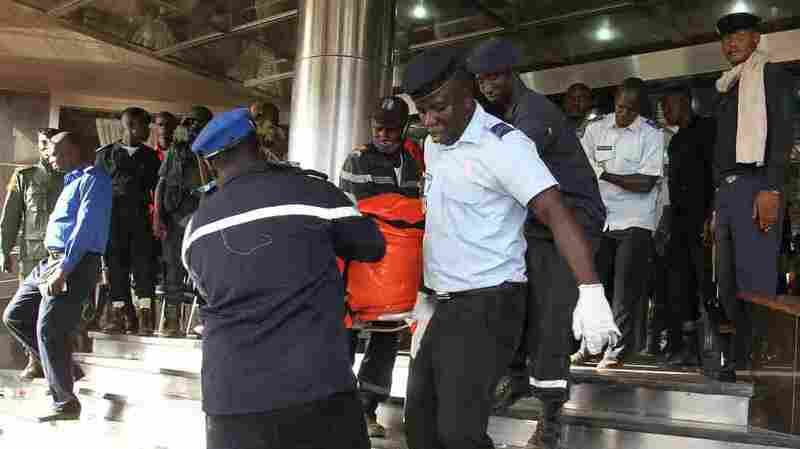 More than two dozen people are believed to have died in the assault by gunmen on the Radisson Blu hotel. The fighting between special forces and gunmen who had attacked the Radisson Blu hotel in Bamako, the capital of Mali, is over, according to the U.S. government. More than two dozen people are believed to have died. 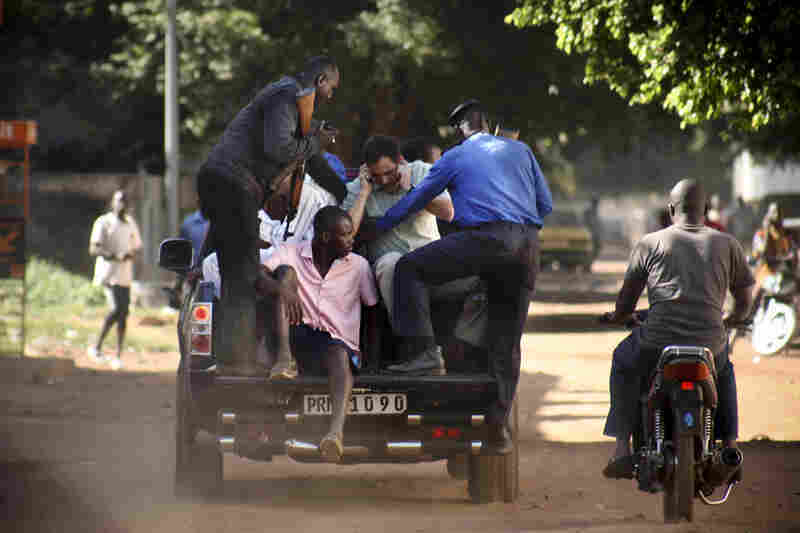 Officers in Mali evacuate bodies of victims from the Radisson Blu hotel in the capital of Bamako Friday, after gunmen seized the hotel and trapped people inside. "We can confirm that the attack has ended," national security spokesman Ned Price said in a statement. "We extend our deep condolences to the families and loved ones of those who have been killed in this heinous attack." Secretary of State John Kerry issued a statement condemning the attack and thanking people who helped the victims. "We thank the first responders, especially Malian Forces and U.N., French, and U.S. security personnel, including U.S. Diplomatic Security, who assisted with evacuating hostages and transporting them to safe locations." 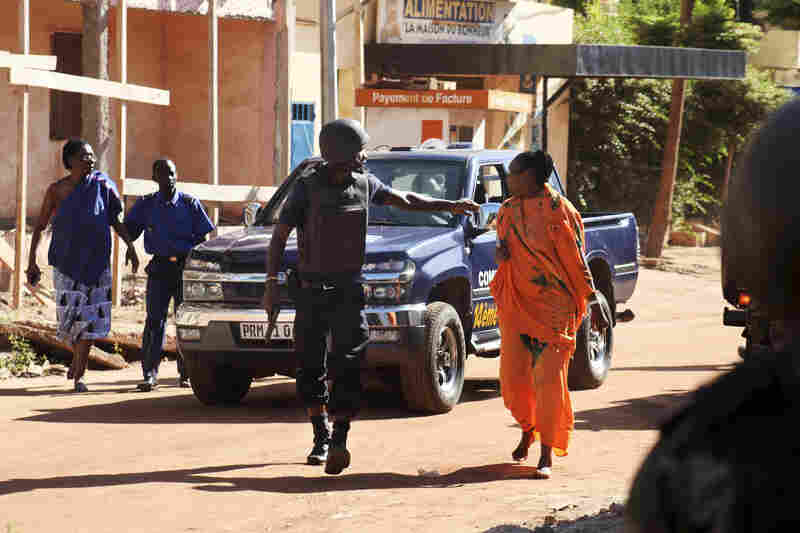 After gunmen initially took more than 170 hostages in the Radisson Blu hotel in Mali's capital of Bamako, more than 130 of those hostages are now reportedly free. But special forces are still fighting gunmen in the hotel's upper floors. Around a dozen Americans, including some embassy personnel, were rescued from the hotel, U.S. State Department spokesman John Kirby says, according to NPR's Michele Kelemen. Kirby says there have been "no injuries or deaths of Americans," Michele adds. France 24 reports, "132 people have been exfiltrated and freed by Malian forces, which were helped by French special forces." At least three attackers have died — including one who blew himself up, reports Radio France International. The news outlet adds that 125 former hostages are now taking shelter in a sports center near the hotel, and that seven others are in the hospital. 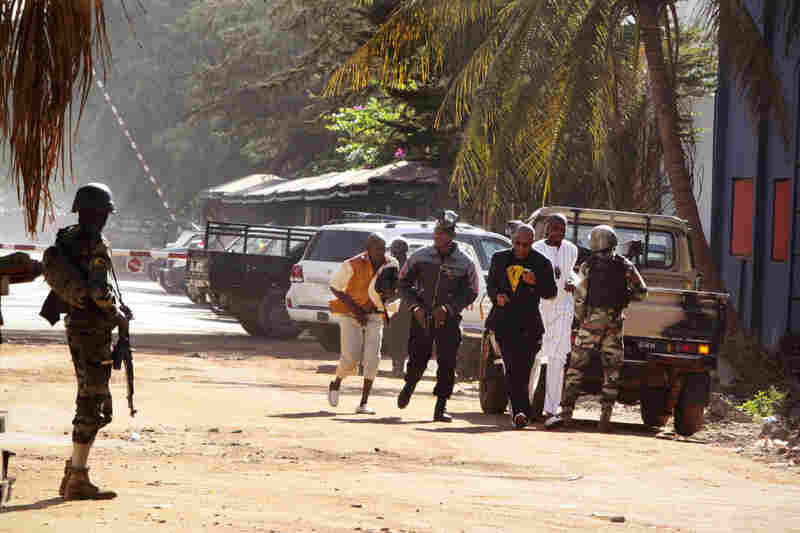 The assailants don't have any more hostages, Mali's internal security minister, Col. Salif Traore, has announced. At the time of the attack, people of 14 different nationalities were at the hotel. An early report from the U.N.'s mission in Mali says its peacekeepers have seen 27 bodies on just two levels of the hotel, with 12 bodies in the basement and 15 on the second floor. It's not yet clear whether any attackers might be included in those numbers. The French defense minister says that as of 2 p.m. ET, "no French nationals were killed in Mali hotel attack," Reuters reports. At least one witness tells Reuters that they heard the attackers speaking English; a Malian army officer tells the AP that the gunmen shouted "Allahu akbar," or "God is great," in Arabic as they began their attack. The attack on the former French colony came one week after a devastating assault on multiple locations in Paris. But while the attack in France was claimed by ISIS, Friday's attack in Mali has been claimed by two al-Qaida affiliates: al-Mourabitoun and al-Qaida in the Islamic Maghreb. The director of SITE Intelligence, which monitors jihadist groups, says the hotel attack may have been a joint operation between al-Mourabitoun and AQIM. Shortly after the attack began around 7 a.m. local time, special forces teams began moving through the hotel floor by floor, freeing hostages. Onlookers say they heard sporadic gunfire as the hostage situation continued. "The situation is worrying, but it is not hopeless," President Ibrahim Boubacar Keita said, according to news site Malikahere. The reported number of hostages at risk has fluctuated, in part because some guests managed to escape from the hotel and others were released. This is a developing story, with conflicting information being reported; we'll update as news emerges from Mali. Malian troops take position outside the Radisson Blu hotel in Bamako on Friday. 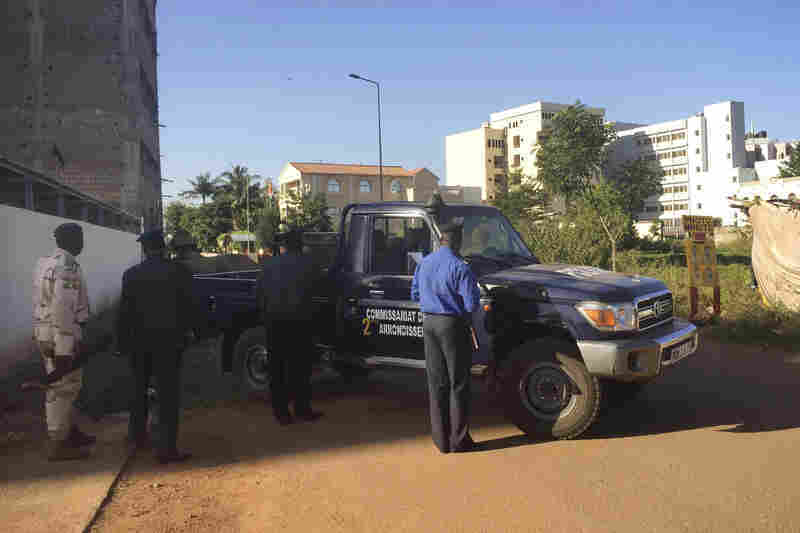 Gunmen went on a shooting rampage at the hotel in the capital of Bamako, seizing 170 guests and staff. U.N. Secretary-General Ban Ki-moon "condemns the horrific terrorist attack at the Radisson hotel in Bamako which killed an unknown number of civilians and injured many more." In a statement, Ban also noted that the attack came as parties engaged in Mali's ongoing peace process were meeting in Bamako. He urged those representatives not to allow the attack to derail the implementation of a peace accord. Jihadist group al-Mourabitoun says it is behind the attacks, Reuters reports, citing the group's Twitter account. Affiliated with al-Qaida, the group is "based in northern Mali and made up mostly of Tuaregs and Arabs," Reuters says. That claim has not been verified, although Reuters also notes that the group was responsible for an attack on a hotel in central Mali in August. Al-Mourabitoun was started by militia leader Mokhtar Belmokhtar after he left al-Qaida in the Islamic Magreb, or AQIM. It's also the same group that was behind the deadly seizure of a gas facility in Algeria, in January of 2013. Rita Katz, director of SITE Intelligence, which monitors jihadist groups, says that the hotel attack may have been a joint operation between al-Mourabitoun and AQIM. At least six Americans are among the hostages who have been rescued from the hotel, according to Col. Mark Cheadle, a spokesman for U.S. Africa Command. Saying it's monitoring the situation, the U.S. Africa Command tweets, "Small team of U.S. Special Operations Forces assisting with hostage rescue efforts." "Our special forces are intervening with the Malians," France's ambassador to the United States, Gérard Araud, tells NPR's Steve Inskeep, "and they are taking over floor by floor." He also says, "The Americans are providing us with a lot of tactical relief and intelligence." Around 25 U.S. military personnel were in Mali's capital when the attack began. A military source tells NPR that some of those Americans helped move civilians from the hotel to secure locations. Saying he's been in touch with his Malian counterpart, Ibrahim Boubacar Keita, French President Francois Hollande says France will provide any help that's necessary. Hollande also said that an assault will try to ensure the hostages' safety. Local news site Malikahere says that about 20 minutes ago, journalists were told to move back, as a final assault was being launched. "According to our latest information 124 guests and 13 employees are still in the building," the Radisson hotel says in a new statement about the attack. According to reports from India, the government there says 20 Indians were among the hostages in the capital of the former French colony. The hotel was also hosting 12 Air France employees; the airline says they're safe, according to Agence France-Presse. Earlier Friday, the hotel released a statement saying people had locked 140 guests and 13 staff members inside, which was cordoned off by security forces after the attack began. "A senior security source said some of the hostages had been freed after being made to recite verses from the Koran," Reuters reports. "Traore said 10 gunmen stormed the hotel shouting 'Allahu Akbar,' or 'God is great,' in Arabic before firing on the guards. A staffer at the hotel who gave his name as Tamba Diarra said over the phone that the attackers used grenades in the assault." International visitors commonly stay at the Radisson Blu hotel, which is in a part of Bamako that's home to diplomatic missions, business offices and restaurants. The hotel is less than a mile from the U.S. Embassy. At least seven Chinese tourists are among the guests being held hostage, reports China's Xinhua news agency. In its statement, Radisson Blu says the hostages were taken by two people. The hotel is operated by the Rezidor Hotel Group, which has its headquarters in Brussels. "Soldiers from France, the former colonial power, have been in Mali since driving out extremist fighters who seized control of the north two years ago. They occupied legendary Timbuktu and other towns and cities for nearly a year. The Sahara Desert nation has since been blighted by insecurity. "The U.S. Embassy in Mali is tweeting that the mission is aware of an ongoing shooter operation at the hotel and is advising all Americans to take shelter where they are and contact their families."